The countryside surrounding Casa Rural El Olivar is breath-taking. The hills are covered with neat rows of olive trees, forming a green dotted patchwork blanket. In between there are typical Andalusian white villages. 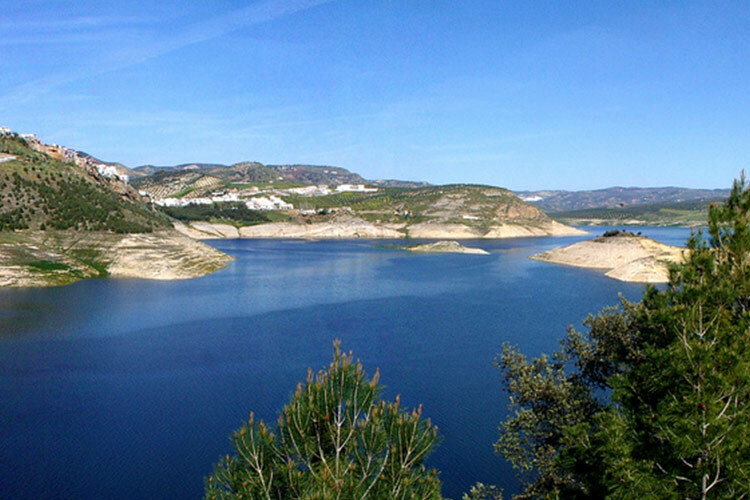 Another main attraction of Casa Rural El Olivar is his location at the Lake of Iznajár, the largest of Andalusia and often called ‘Lake of Andalusia’. A paradise for the “silent” water athletes. Don’t expect busy mass tourism. It is very likely to make a boat trip and not encounter anyone else on the water. The white village Iznájar is less than half an hour by foot and five minutes by car away from Casa Rural El Olivar. It has just about 2.500 inhabitants. 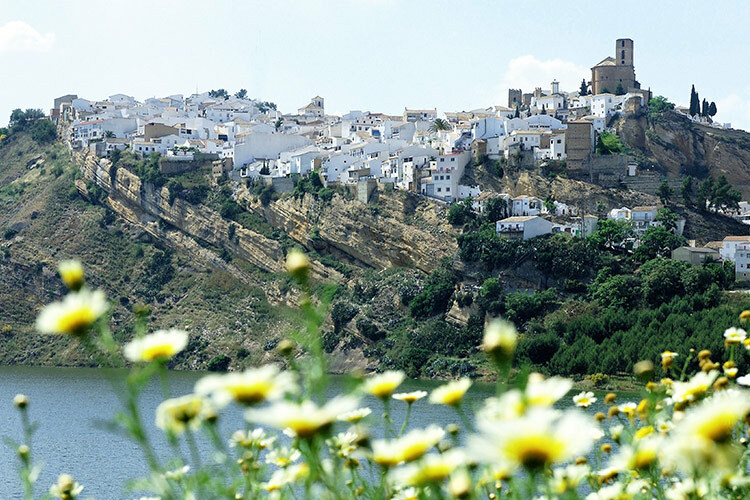 Nearby there are several other typical white villages, each of them worth to be explored. 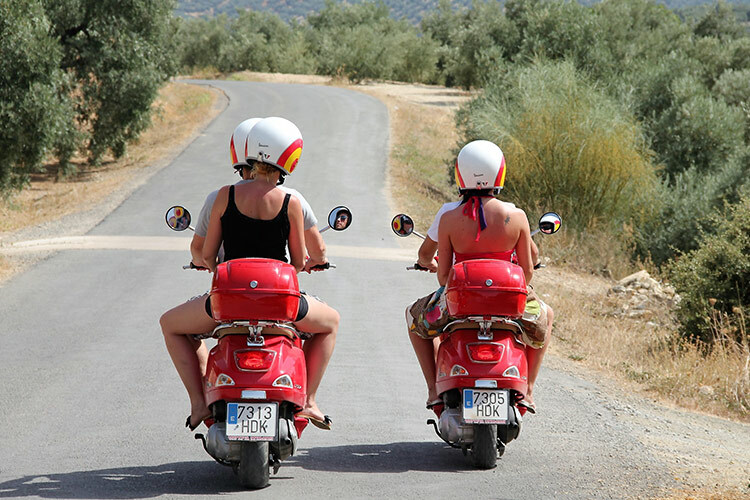 Discover the centre of Andalusia by Vespa it’s more than just a Spanish region, it’s a way of life! Open your senses to everything it has to offer. Come and see, feel and taste the splendours of one of the most thrilling parts of the Iberian Peninsula. Choose your own picnic spot amongst the olive trees, enjoy the beautiful views over La Subbética Cordobesa and take your time to explore the quiet villages with their hospitable inhabitants. Stop wherever you like, whenever you like. It’s an experience you’ll never forget!